“The Justice Department’s decision puts private profit over human dignity, but it’s no surprise. Jeff Sessions is a private prison enthusiast. 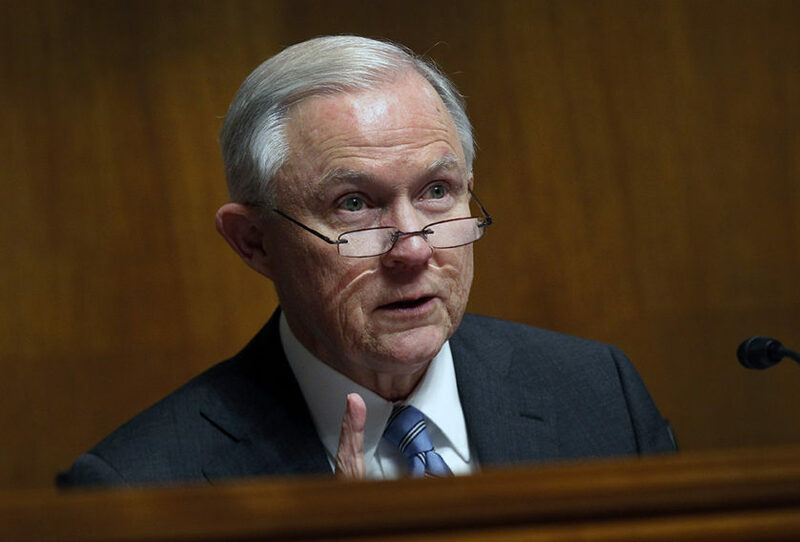 As Alabama’s attorney general, Sessions green lighted their use in the state, and shortly after the Obama Justice Department’s original announcement GEO Group, the country’s second largest private prison company, hired two former Sessions aides as lobbyists. “Trump’s presidency continues to be a boon for private prison companies. His mass deportation plans have sent the stocks of CoreCivic (formerly CCA) and GEO Group soaring. His executive orders declare open season on anyone with brown skin, and hundreds of people have already been detained. Private prison companies already provide the majority of immigration detention space, and they want more. “Corporations have no business being involved in criminal justice or deportation. Because private prison companies have to turn a big profit for their executives and shareholders, they cut corners, making their facilities particularly dangerous, unsanitary, and staffed with inexperienced, underpaid correctional officers. The public gives them hundreds of millions of taxpayer dollars in profit each year and what do we get in return? Less control over our criminal justice and immigration enforcement systems, and high rates of recidivism and job turnover. A report revealing six banks that play large roles in financing CoreCivic and GEO Group: Wells Fargo, Bank of America, JPMorgan Chase, BNP Paribas, SunTrust, and U.S. Bancorp. A report outlining how private prison and other corrections companies spend millions of dollars influencing public officials. A factsheet describing how private prison companies market their empty facilities to local and state governments, and the federal government. A brief showing that people incarcerated in private prisons have higher rates of recidivism. An infographic showing the presence of corporations throughout the criminal justice and immigration enforcement systems.